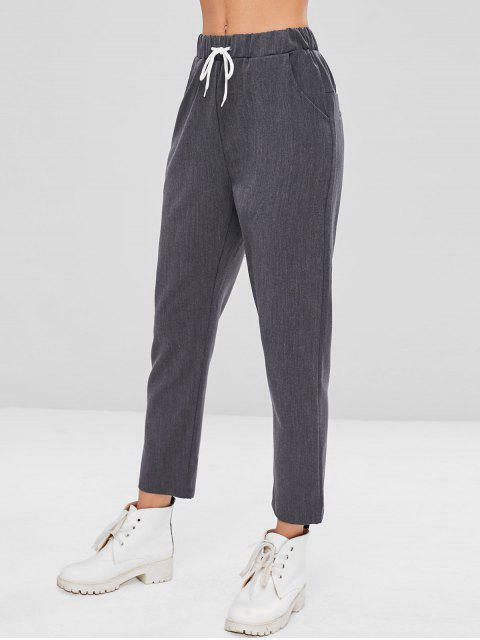 [57% OFF] 2019 Drawstring Straight Pants In DARK GRAY | ZAFUL .. The pants look exactly like the pictures, they are comfy and fit very well, also true to size and adjustable at the waist. 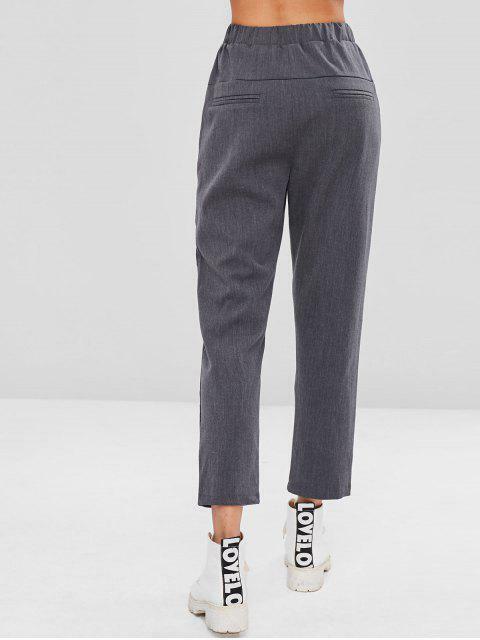 Cut in a relaxed straight-leg profile, these high-waisted pants are the feminine-yet-sophisticated styles, which takes the style to the high level with a tailored, ninth-length silhouette that's perfect for showing off a pair of polished loafers. 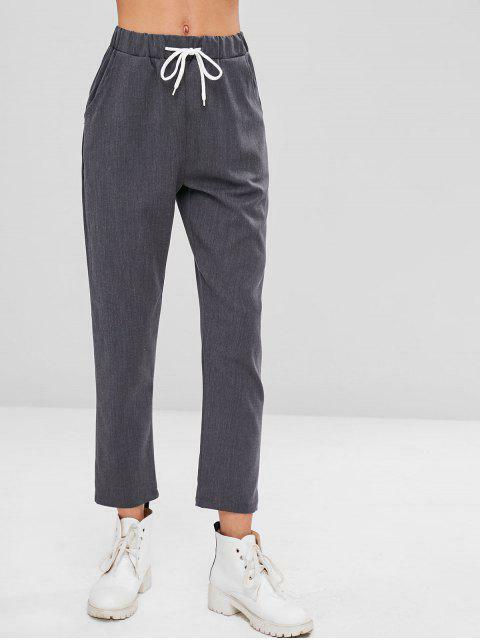 A contrasting drawstring waist ends the look. Two side pockets.